New model from Wanda Bachtiansyah before he release Spallow Gundam paper model template. This is a memory device to activate the AGE System. 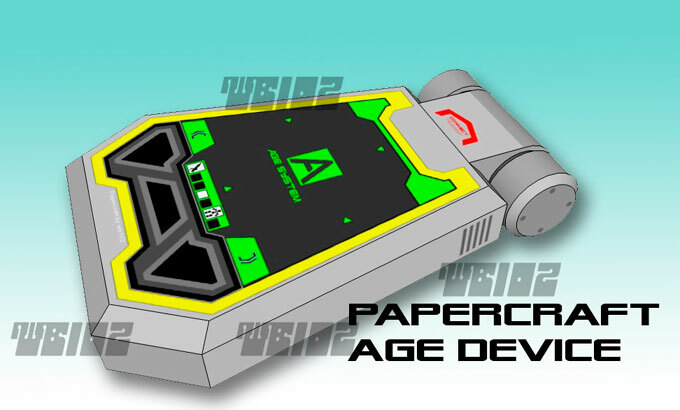 AGE device can record battle experiences that were involving all Gundam hardwares to be use to make new evolved AGE System Gundams using an AGE Builder machine. In real life this same shape also used as a memory card for saving the game in Gundam GAGE-IN game machines. The model is in 1:1 scale and has only one page of template and one page of assembly instructions. Beside this update I also have update a new video link in Paper Replika Video Gallery, this video is about Optimus Prime paper model progress build slide show by Anis Narmantika.